The device includes an insulin pump and a glucose sensor that stops insulin delivery when blood glucose reaches a preset level. The system has been approved for use by diabetics aged 16 years and older. 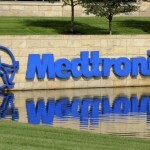 Medtronic said it would conduct a post-approval study that would include children aged 2 years and older.